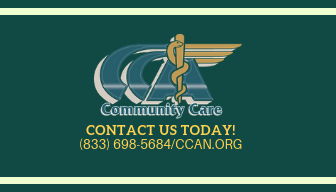 Community Care Ambulance (CCA) is dedicated to providing the highest quality healthcare services to the Northeastern Ohio communities we serve. We know this happens only with a workforce that’s also dedicated to our mission. CCA cares about our employees and supports them through education opportunities, competitive pay and benefits, signing bonuses and more. Our culture is one of trust, honesty, sincerity and professional ethics. We recognize that helping employees advance their careers not only helps the individual, but it also makes our community and company stronger, too. When you join the CCA team, it’s not just a job but a career! Eligible team members who desire to move higher in their careers will enjoy paid tuition. For example, paramedics can earn a CICP (Certified Intensive Care Paramedic) certification, EMTs can advance to paramedics and wheelchair technicians/drivers can become EMTs. This opportunity is available to employees who begin their careers with us or join our team later in their careers. One example is Sam McKee, a valued CCA team member who became a paramedic through our educational assistance program. He very successfully completed the Auburn Career Center Medic program as the class valedictorian and with perfect attendance! We love Sam’s story and are applaud his hard work. It’s a source of pride for CCA when we see a team member advance their education. Here are a few more comments from employees who have advanced their careers. CCA is always looking to add top talent. We currently employ more than 270 certified critical care providers, paramedics, advanced and basic EMTs, emergency medical dispatchers, wheelchair technicians and support personnel. We have locations throughout Northeastern Ohio including Ashtabula, Akron, Andover, Bedford, Chardon, Cleveland, Concord, Geneva, Lake County, Madison, Middlefield, Munson Township, Oakwood Village, Portage County and Warrensville Heights. We are leaders in wages, PTO and health insurance benefits. We offer 401K with a 100 percent employer match for up to 3 percent of employee contribution. Plus, some of our full-time positions include a sign on bonus – eligible paramedics receive $2,500 and EMTs receive $1,000! We also give referral bonuses, attendance bonuses and opportunities for overtime. There are currently full-time and part-time opportunities. Do you want to work for an organization that values its employees? CCA not only provides competitive pay and benefits, but we also have programs and events to reward employees and create a positive and cooperative work environment. View current job openings on our website and apply online. If you have questions about career opportunities, call us at 833-698-5684. Follow us on Facebook, Twitter and LinkedIn for our latest updates!